Within our lifetimes, the core identifying markers of traditional “office culture” will become obsolete for the majority of businesses. In fact, recent studies highlight that 48 percent of all American workers spend at least some time working from home each week, and 70 percent of workers around the globe work from home at least once per week. Whether the reasoning is a difficult commute, an unstimulating work environment, or the need for a little more Vitamin D, the fact remains that workers are ditching the office in droves. The graph shows that there has been a 4 percent increase in employees opting to work completely remotely. It is anticipated that as many as 50 percent of all workers will be working remotely by 2020, as a whopping 56 percent of companies support remote work around the globe. What was once seen as an office perk is now becoming the standard for the workplace. The speed at which technology moves makes this all possible. Globally, we are more connected now than we have ever been, and working in a confined space is no longer mandatory. One thing is for sure: remote workplaces are here to stay. Still, for this to work for employees and employers, it is absolutely critical that companies incorporate the right workplace collaboration tools. The collaboration tools to support remote workplaces certainly exist – it’s just a matter of finding the right platform for the company. The aforementioned workplace analyst believes wholeheartedly that technology is armed and ready to streamline communication, making traditional offices unnecessary. Technologies that enable communication and mobile work are developing at an increasing pace. Many office fundamentals evolved as a way to maximize communication. When communication is not only feasible, but convenient and efficient regardless of your physical position or behavior, these constructs no longer have any use. While certainly not all workers prefer working remotely, it is becoming incredibly clear that this office exodus is more than just a trend. With that in mind, there are some very significant benefits to a work life outside of the office. Of course, there are the obvious benefits to working remotely like avoiding traffic jams, more independence, and saving money on the cost of commuting and daily lunches. Still, there are benefits to working remotely that are underappreciated like the ability to communicate more effectively. While it may seem counterintuitive, the fact that employees are not physically around their co-workers throughout the day puts effective communication at a premium. Either in the process of composing your message or planning the meeting, you’ll refine your thoughts and questions and end up saving time for both of you when you do have that discussion. For further discussion of the benefits of working remotely, check out: Managing Remote Teams: How to Increase Team Collaboration. By now, I have to assume you are scratching your head wondering: How are companies operating effectively without employees showing up to work in the office? This may have been a stumper of a question just 10 years ago. 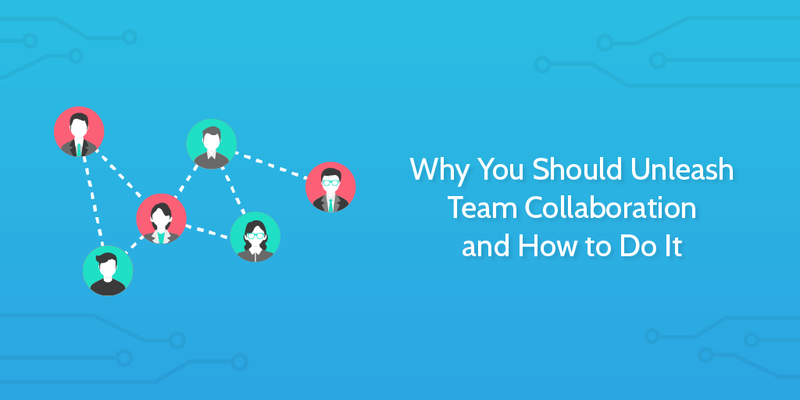 Today, however, the answer to this question is quite simple: Team collaboration tools. Now more than ever, companies are equipping themselves to operate seamlessly whether employees are physically in the office or not. Location is becoming irrelevant, and the standard “9 – 5” is a thing of the past. In order to accommodate such changes, workplace technology and software has been tasked with keeping pace. Collaboration software enables the sharing, processing and management of files, documents and other data types among several users and/or systems. This type of software allows two or more remote users to jointly work on a task or project. Due to the availability of so many different office tools, workplaces often incorporate unnecessary tools that go unused. Not only does this waste significant amounts of money, it also hinders employee productivity. Remote workplaces ideally should try to rely on a small number of tools to be used company-wide to prevent employees from having to jump too much from one platform to another. With a collaboration software, everything you need can be found in one, neat package, giving you access to a wide range of work tools from a singular platform. There is no need to keep logging in and out of various tools throughout the day, saving time and effort. The remote workplace is only going to become more common over time. As such, it is paramount that evolving companies find the right software to usher them into their future. The right collaboration tools are out there for any company willing to look, and, given the chance, these tools will increase company productivity and improve company culture. Process Street is a fully remote company. They hire staff from all around the world, across continents and time zones. This could make organization difficult. But it doesn’t. There are three key tools they use every day in their marketing team to keep themselves on track. Process Street operate with the philosophies of business process management. One internal rule is to document any process they have to do more than twice. This documented process then becomes a blueprint for how to approach the task in the future, which is improved every time as inefficiencies are identified. With Process Street you document your processes as templates; these record the process model. When you want to complete a task, you run a checklist which acts as a single instance of the process. In this checklist there are form fields, upload fields, and email widgets to record and send information. Checklists can also be collaborative too, with different checklists assigned to different people or individual tasks within checklists assigned to different people. This helps smooth approval flows and other multi-stakeholder tasks. You can also run automations with Process Street, or automate tasks in other apps via the Zapier integration. With their library of processes, you’ll always know what to do and when to do it. Your team needs somewhere to communicate and Slack is a brilliant option. Slack allows team members to message each other privately or in shared channels. It acts kind of like a messaging system you might expect to use socially, rather than the formal nature of email. Slack can integrate with just about anything and this lets you create automations to perform tasks in other apps straight from Slack. First and foremost, though, it is a really effective communication tool with an intuitive design and great cross-platform support on desktop, browser, or mobile and tablet apps. Just don’t forget to follow the rules of asynchronous communication! This handy tool lets you create powerful databases by just clicking around and dragging and dropping. Neat. But it’s much more than a database. You can integrate with Zapier to make changes in Airtable trigger actions in other apps. The Process Street team uses Airtable as a kind of centralized task management system where all of their resources are stored. For example, all of the articles the marketing team has ever written are in Airtable. The articles currently being worked on are also in Airtable and will join the rest once someone hits “publish”. Since Airtable introduced their Kanban board system it has been a great resource for task management; like Trello on steroids. It’s really useful for teams which take their work seriously. It is very important to point out the ways in which companies benefit from allowing employees to work remotely. Although it seems like having remote employees would slow down operations, that couldn’t be further from the truth. For one, since telecommuters no longer have to combat traffic, employees typically have more energy and log in to work earlier. Additionally, companies that allow employees to telecommute save on the cost of office buildings, snacks, and supplies. When I say save, I mean save big. Fundera, a company that provides expert financial insights, estimates that employers offering at least part-time telecommuting collectively save $44 billion each year. Did I forget to mention that working remotely actually makes employees more productive? …as they took fewer breaks and less time off. As a whole, remote workers are 13 percent more productive than their in-office counterparts. In-office employees are no longer motivated by money alone. As a result, companies started getting creative and providing office perks like an office ping-pong table, dog-friendly offices, or casual dress codes. The problem? Employees see these office perks for exactly what they are: incentives to work harder and stay longer, sacrificing any semblance of a personal life. So long as employees view these tools as the employer’s way of getting more from them while paying them the same wage, they remain less useful as tools of increased productivity and loyalty. The problem is one of perspective. When a corporate executive asks me what I recommend they do to change the paradigm of an ineffective corporate culture, I respond, “Concentrate on the soil.” Concentrating on corporate soil isn’t providing “more stuff.” And while it is laudable to give new mothers nursing stations to breastfeed their infants, on-site gyms or gym memberships for athletic employees, and childcare facilities for young parents, this isn’t the soil. These perks should be a result of good soil, not the soil itself. Perks such as these should be part of a larger cultural context, one that the employees believe in. One of the most surprising benefits of the remote workplace is the company culture that is formed as a result of having remote employees. A recent article from Fast Company features an interview with a notable startup and their employees – half of whom work entirely remotely. We realized after a few months that hiring remote workers helped lessen our office divide. The remote workers we hired displayed high levels of self-motivation and responsibility, and were generally less antagonistic and better team players. Over time, those traits ended up rubbing off on other team members. For employees, working remotely can make all the difference in being able to travel, spend time with family, and exercise all while avoiding the awkwardness of office politics. The fact is, allowing employees the freedom to work from home is a mutually beneficial policy. With evolving team collaboration tools, the transition from the office to the coffee shop will be seamless. There are leadership tools and a wide range of technologies that can help you cultivate relationships with your co-workers and your direct reports, which can, ultimately, help you develop easy, seamless working relationships, deep respect, and mutual trust…The popularity of teleworking is only rising – so investing in the technology you need to create collaborative experiences, develop personal relationships, and deliver standout projects only makes sense. Fortunately, that technology already exists – it’s just a matter of finding the right solution for your people and your organization. I sat in that meeting for the next 45 minutes, thinking of all the early morning BART rides and late-night office dinners ahead of me. Thinking of all the gym sessions I would miss and all of the weight I would gain slouched at my desk. Thinking of all the social gatherings, outings with friends, and family events I would need to sacrifice in order to succeed at my job. Within my first three months, I watched one co-worker after the next high-tail it out of that office in search of an opportunity for a more fruitful work-life balance. In an attempt to stop the bleeding, my boss implemented “Work From Home Fridays” – a last-ditch effort to infuse our work lives with a dose of balance. To make this work, we researched and introduced the office staff to collaborative platforms to help ease the transition. Armed with the appropriate tech and a little added pep in our step, our company productivity skyrocketed. My boss took this a step further by implementing “Year-Round Summer Fridays”, which mandated that each employee stop working at 3 p.m. each Friday. The result? Even more productivity. Only, this time around, employee morale skyrocketed as well. Employees began writing blog posts on our company website, articulating what they were able to do with their extra time on Fridays. Some took trips to Disneyland. Others began taking yoga classes. Most headed to the airport on Thursday evenings to take advantage of the three days out of the office. The ability to work from home is no longer just a work perk – it is a critical component to keep employee morale high, while keeping employees happy and healthy. 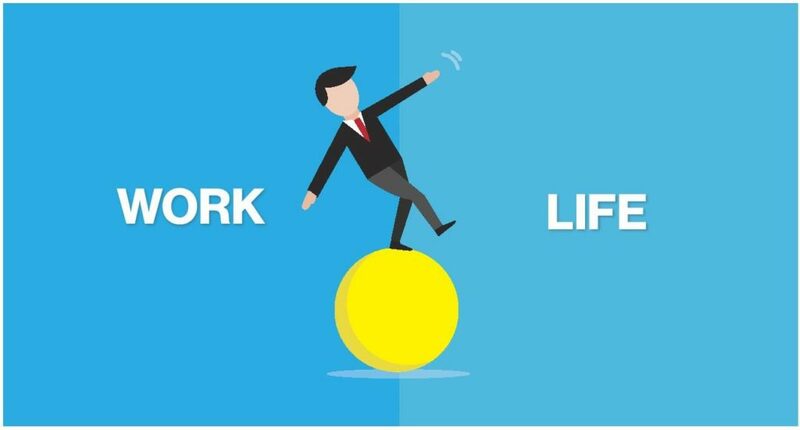 In the years to come, companies will need to learn to adapt to this workplace revolution, or risk losing out on talent who value their work-life balance. In order to make any of this a possibility, it starts with implementing the right collaboration tools and office technology. Given the right tools, companies will be able to work from anywhere at any time without missing a beat. If companies gamble on these collaboration tools and allow their employees the freedom they so desperately crave, the results will no doubt be positive. To build this into your team, sign up for a free Process Street account and get started. Have you worked remotely? How does it compare to working in an office? What team collaboration tools have been most useful to you in making this transition? Let us know in the comments below! Thanks for writing such an informative blog. Loved it very informative..!